How could this OTP be left out?! This bromance is real people! . Ya'll ain't even ready! LOL. 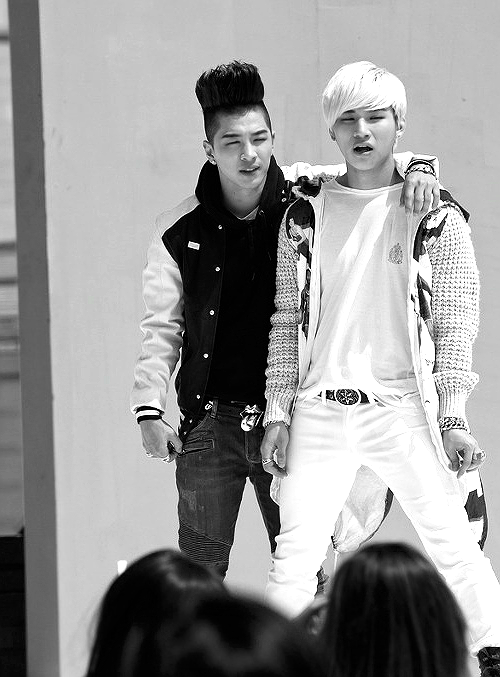 Daesung: "When we debuted as a group there was a lot of criticism directed at us, which I often felt guilty about. I'm a very private person, who doesn't like to trouble people, but during such times Youngbae hyung was one person I would often talk to. 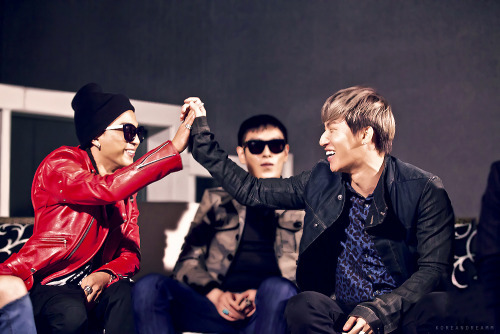 He gives me a lot of good advice and our personalities are very similar too"
Taeyang: "Daesung is a dongsaeng I connect with best. Even though he is younger, he is a good listener and a friend I can really talk with. 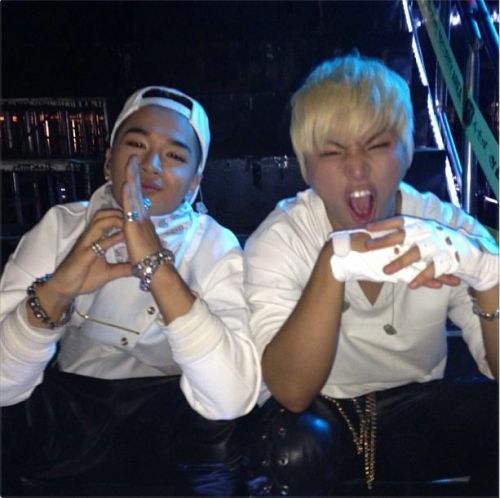 We have very similar lifestyle..."
Daesung: "(taeyang is a cool hyung) that's why I'm close to him and study him. I really lean on him, although I'm a private person, I can openly talk about my worries with him. He gives me a lot of comfort and strength." i really love when yhey interact with each other! I couldn't help myself haha. They're so cute together, and are always sharing a private joke . I do wonder what they laugh about half the time lol. HAHA! Yes of course, SunDae completely works too. Thinking about it, this duo proably has the most name alternatives lol. BaeDae during the bad boy performance. SunDae is too cute together. 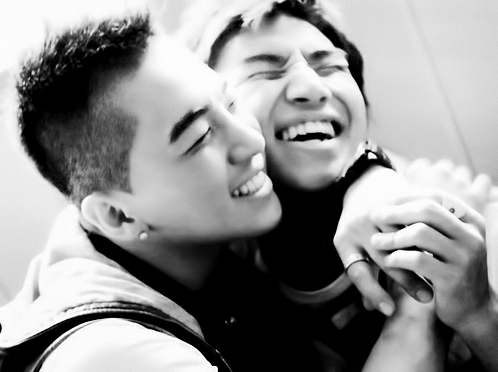 I love how Bae called Dae is soulmate. Gotta love these two together. I'm quite convinced it's real LOL. Hmm.. 'YoungDae' why didn't I think of that?! I like it! 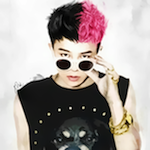 This week I will be talking about BIGBANG’s Charismatic Vocalist, SOL san(24). He is always the same from the past and is hard working. When he gets into something, he only works on that one thing. As you guys may know, he’s into skateboards nowadays. I hate getting injured, but SOL san doesn’t really mind getting hurt. For example, when he discovers new thing he would work on it for months and months. Other members are interested for like the first week, but when he does one thing for a month, I want to tell him “Enough! That’s enough now!” And in his case, since he does one thing consistently, I surprisingly find it interesting. 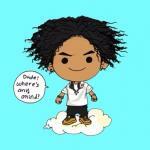 I think to myself, “You’re still doing that!” keke That’s his charm. I talk about Music often with SOL san. I offer and show him the music I like, and receive teachings from him. I still listen to Chris Brown that he recommended to me in our trainee years. And as vocalists, we ask and consult each other, “What do you think about this part of the music?” I think bigbang’s charm is that each and every five members have different voices.